Rum is unquestionably one of the most diverse and versatile spirits in the world as it can be served in a large number of cocktails, or simply drank neat, or on the rocks. Given its popularity, we’ve decided to compile the most important aspects of this spirit, so you can have a better understanding of its evolution through the ages and make an informed choice next time you order a drink at your local bar or buy yourself a bottle. There is a rum for everyone, so continue reading and find out which type of rum suits you best. Whether you’re an experienced rum enthusiast, or you’ve just discovered your interest in this Caribbean spirit, it is important to know what rum actually is. Once you break the ice with rum - and sip some rum with ice - you can move forward to understanding its wild complexity and many variations around the world. Be advised, this spirit is produced in over 80 countries and there are over 1,000 kinds of rum. This makes it especially hard to define, and you’ll probably find yourself completely immersed in a spirit’s education that never ends. All we can say is, rum is definitely worth the journey. Let’s cover the most important aspects so you have a head start into the labyrinthine world of this spirit. At its simplest form, rum is a liquor that is distilled from sugarcane. The first differences in rum that you can already find depend on the sugarcane variations that are used to produce this liquor. these may be either pure cane sugar juice, byproducts such as molasses (a thick, dark sweet liquid left over in the process of producing crystallized sugar), or syrups. Sugarcane is a fast-growing grass that traces its roots to Papua New Guinea and through various journeys in the late 15th century, made its way to the Caribbean and Brazil. Regardless of the original base, the underlying flavor profile of rum is sweet, with hints of toasted sugar. Ever heard of Christopher Columbus? Besides discovering America, Columbus is also the person who’s accredited with introducing sugarcane to the West Indies in the late 15th century. 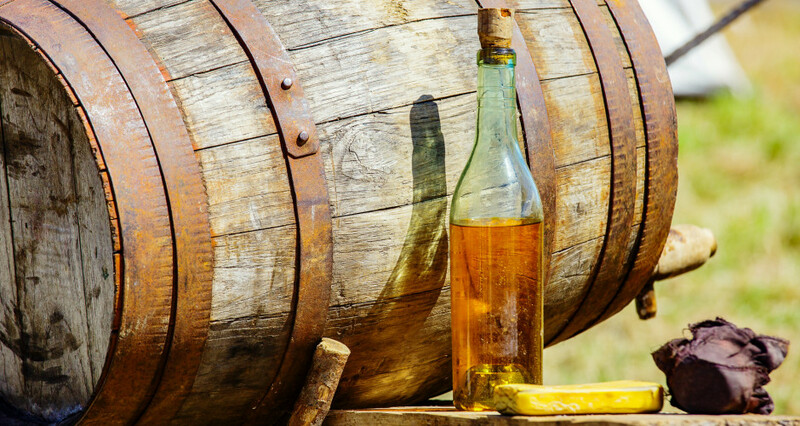 The first types of rum were produced in Brazil, Barbados, and Jamaica. This makes rum the first ever distilled spirit of the New World. Nowadays the oldest functioning rum distillery, Mount Gay Distillery, is in Barbados and it opened its doors in 1703. 80% of the rum is produced in the Caribbean, with South American being the second largest producer, and the production spreading even further to countries like Scotland, Austria, Mauritius, Australia, and many others. Certainly, in the last few decades, rum has been crowned as one of the most drank spirits, with some estimates suggesting that global rum consumption grew as much as 40 percent in the decade 2000 to 2010. Given the few regulations regarding the production of rum, producers all over the world have had the time and flexibility to come with their own methods and techniques to produce this spirit. Generally, however, you could say that there are three basic styles of regional rums; English-style, Spanish-style and French-style. English-style rum is traditionally distilled from molasses, resulting in darker, more spiced and aromatic rums. This style of rum is also typically aged in casks for several years. The most popular English-style rums are produced in Barbados, Jamaica, Trinidad, and Mauritius. Spanish-style rums are usually lighter, crisp and clean. This type of rum is also produced with molasses, varying from light-bodied to oily, round and complex with age. The most popular Spanish-style rums come from Cuba, Puerto Rico and Venezuela. French-style rum is produced from sugar cane juice and that’s why it’s also commonly known as “Rhum Agricole” (the French term for cane juice rum). This type of rum is often fruity, floral and perceived as more “elegant” than other styles. The most popular French-style rums can be found in Haiti, Martinique, and Guadeloupe. Besides the distinction between the three main styles of rum, there are also many rum categories that can be used to describe this spirit. Let’s take a look at three of the most popular ones out there. White rum, as you may already take from the name, is clear and it usually has a milder flavor and lighter body than gold or dark rums. In this light category of rums, you’ll find the rums that are most often used to create cocktails that do not need a bold rum flavor. Most white rums are sold at 80 proof, or 40% alcohol by volume. They’re often aged from 1 to 4 years and then filtered to remove color. As rum is aged, it takes on golden hues and gets a stronger flavorful profile than you would find in white rums. If you want to drink or mix a cocktail where a stronger rum flavor is desired, then gold rum is probably your best option. These medium-bodied rums are can also be enjoyed neat or on the rocks, so make sure to also try your gold rum like this. The darkest, richest and most heavy-bodied types of rum are often referred to as black rums or dark rums. Black rums are typically made from molasses and retain much of the molasses’ rich caramel flavor. Some producers also use burnt caramel to color black rums and achieve consistent dark shades in the spirit. Given their thickness and caramel flavors, black rums are also very common in the baking and candy-making industry, as they add sweetness to candies, cakes, and other desserts. Learning about rum is an ongoing process and can surely become a great pleasure if you commit to the process. Read, taste, share and above all, enjoy yourself! Rum is a delight and a luxury, and as such is should be savored with the same intensity as rum’s rich history.